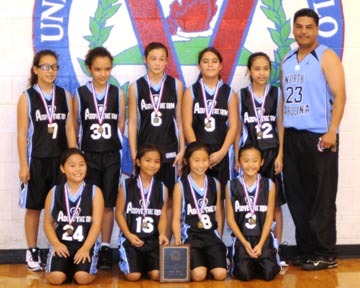 The Hawaii Isle Police Activities League (HI-PAL) held its 28th Annual Winter Basketball Classic in Hilo from December 26-29. 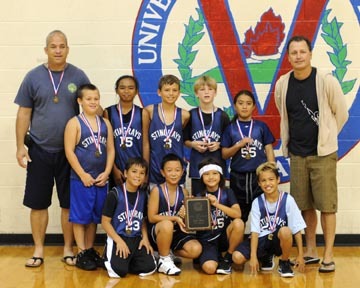 Thirty-seven teams (five from Oahu) participated in the following age divisions: 9-10 division, 11-12 division, 13-14 division, girls 12 and under division and girls 14 and under division. 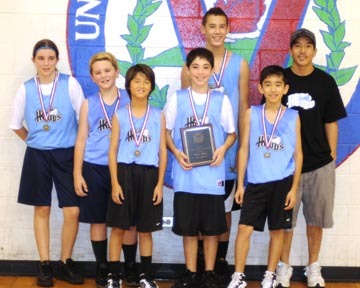 Nearly 350 youths between the ages of 9 and 14 participated in the tournament. Below is a list of the winners from each age bracket in alphabetical order. 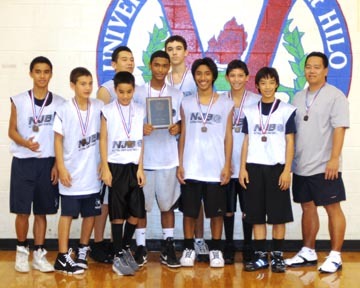 Above is a photo of each team taken after the championship games, which were held at the new University of Hawaii at Hilo gymnasium. The HI-Pal Program would like to thank everyone who participated in this event as well as the organizations and businesses that helped to make it a successful event. 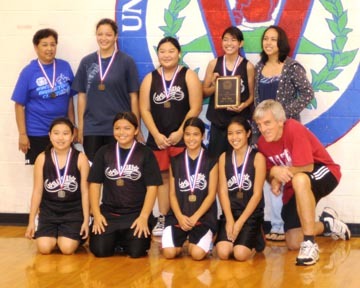 HI-PAL provides social and athletic activities for youths of Hawaii Island between the ages of 5-17 without duplicating activities provided by the county’s Department of Parks and Recreation. For information about HI-PAL or about future HI-PAL events, you may call the East Hawaii HI-PAL office at 961-2220 or the West Hawaii HI-PAL office at 326-4646, extension 258.